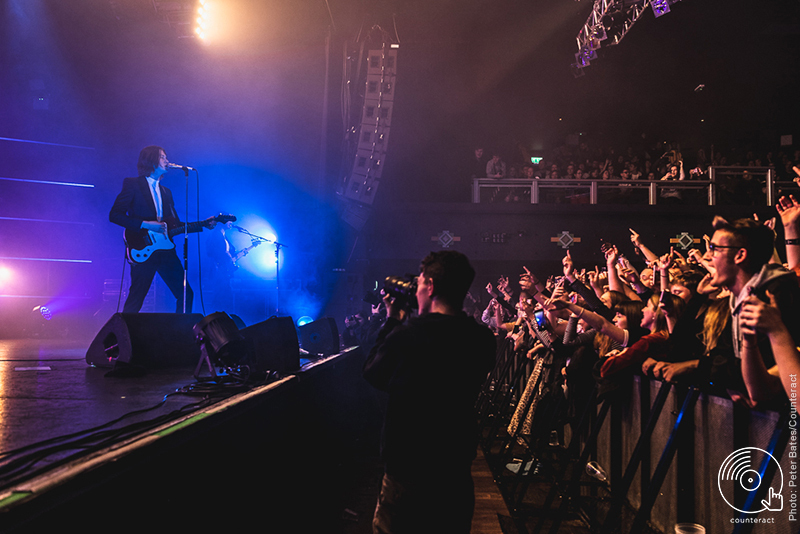 Blossoms made their return to the second city on Friday 7th December and utterly owned the entire crowd with old favourites, new tracks and Christmas renditions. Fuzzy Sun made for a fitting support band with confidence, swagger and a seriously fantastic sound. Fuzzy Sun, a five piece initially blended in Manchester, worked the crowd in a way that fans would only expect to follow after a headline tour of their own. Frontman, Kyle Ross’ majestic voice swooned the crowd along with playful interactions in between songs and some onstage dancing that has us all waiting for the post-tour documentary. The funky five treated the room to tracks from new release Warm Evening/Cold Morning which make it apparent their electro-pop sound is here to stay. The 80s noise is back with renditions of their newest songs ‘Eve’ and ‘I’ll Be The Man’. The strong vocals swap through the set between Ross and Daisy Valentine, also on keys in the corner. Next to her is Lewis Jobson, and there’s not a single doubt the band’s bass player looks right at home on stage. 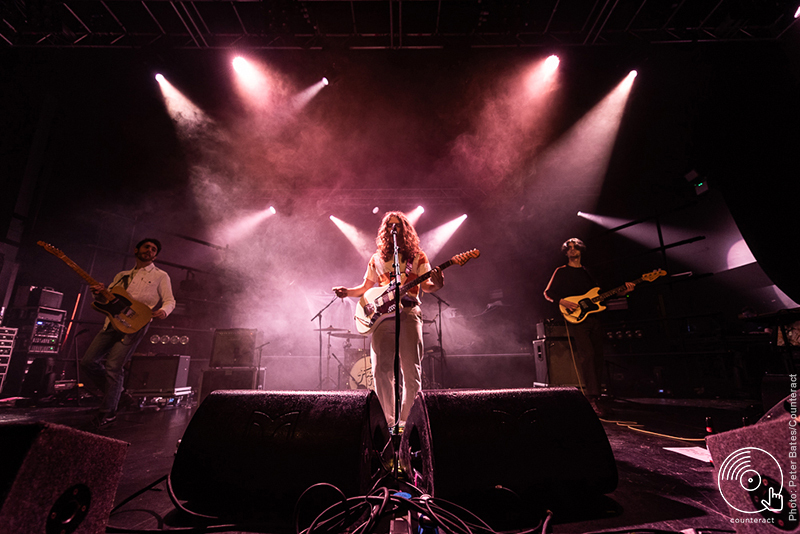 Fuzzy Sun is complete with Mitch Bancroft on drums and Raffaele Pani on guitar; the five piece have a unstoppable flow as they prove to the bustling gig-goers exactly why they are joining Blossoms on their sell-out tour. ‘Want Love’ – one of their very first creations – goes down a treat. 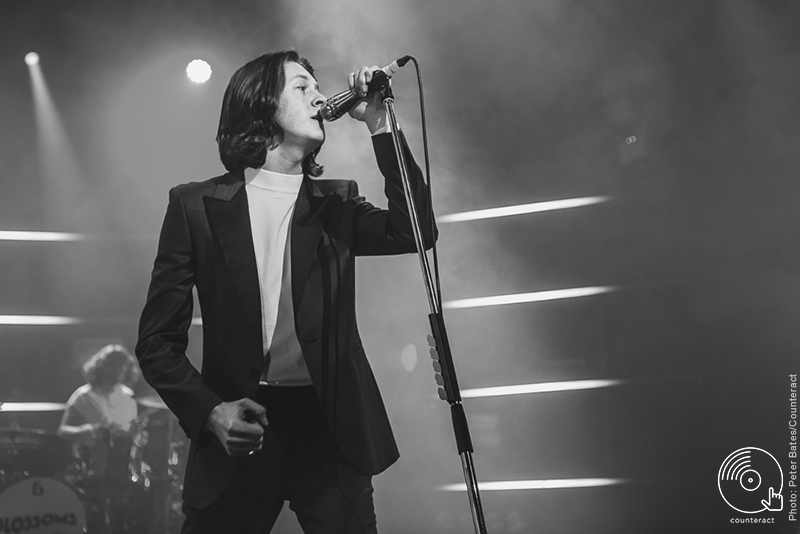 Its infectious melody makes it impossible not to bop along to as Ross works the stage, flicking his hair back and forth and throwing his arms up in the air. The group don’t leave the stage without an official introduction of each every single member from Ross with time to deservedly applause each individually before Blossoms take it away. They needed no introduction. 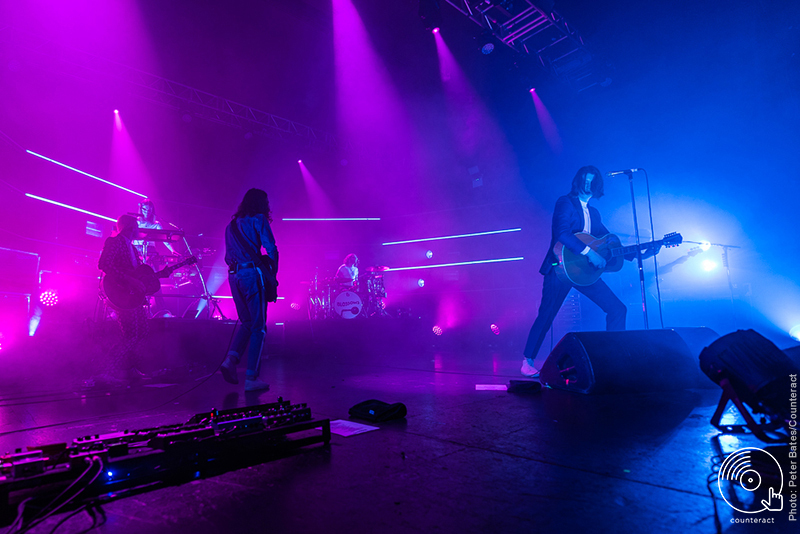 Instead five silhouettes swiftly made their way to their position in front of a neon-lit backdrop and dived straight into the first track. Four shows into their sell-out tour and they clearly know exactly what they are doing after the whirlwind of success that followed their last visit to Birmingham. Stockport’s finest controlled the remainder of the night, going from hit numbers from their first self-titled, album to slower acoustic ballads. 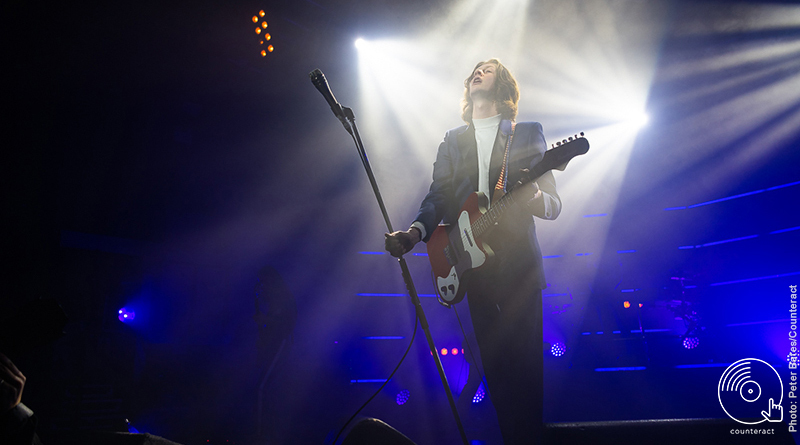 Blossoms’ look is Beatles-esque with turtle necks under corduroy jackets and mod-like hair; it makes for a refreshing view to accompany their pop melodies. They worked through old favourites ‘Blown Rose’ and ‘Honey Sweet’ and before the room know it, frontman Tom Ogden had thrown the jacket off. It was time to delve into some fresh tracks from Cool Like You, their second album. The very beginning of ‘There’s A Reason Why (I Never Returned Your Calls)’ almost sounds alike The Killers, or perhaps The Courteneers. One thing for certain is that it is an anthem and an expert comeback if fans have ever seen one. Ogden soon had the entire venue (balcony included) in the palm of his hand with the band’s other four members disappearing for a short time. It was Tom and the whole room as he served acoustic wonders alone on the stage, taking fans through his raw renditions of choice. He soon threw everybody into a fittingly festive spirit with his version of ‘Last Christmas’ and teasing the start of Oasis’ ‘Don’t Look Back In Anger’ with a simple “and soooo, Sally can…” – letting the room finish off singing the classic whilst he switched guitars. The remaining four members reunited back on stage for their final track which has proven to be a universal favourite for lovers of the band. It was ‘Charlemagne’, and there was something about this particular live version that had Birmingham’s venue realise the success of the Stockport musicians. It sounded exactly like the first time fans heard it, except this time it’s been around the world and back. Prepare yourself for a whole lot more of Blossoms.